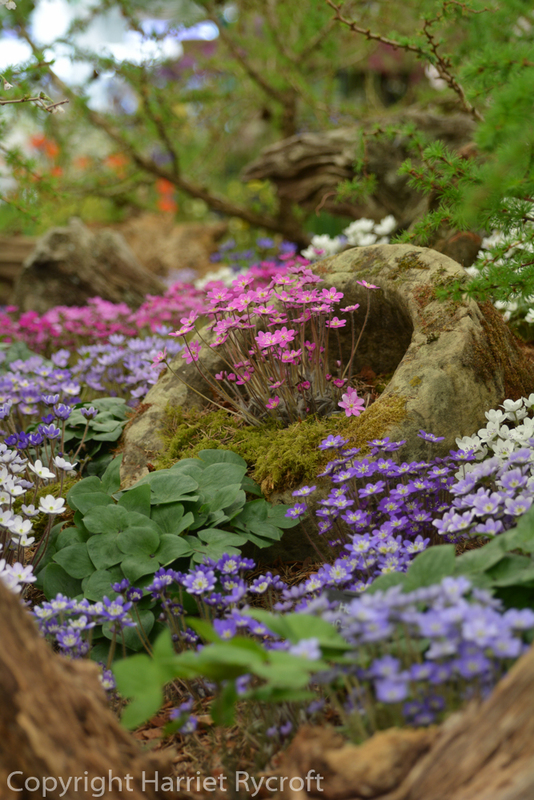 This week I just had to show you the devastatingly charming display of Hepatica (all 12 species) at RHS Chelsea Flower Show which John Massey of Ashwood Nurseries made this year, winning not only a gold medal but also the Diamond Jubilee Award for the best exhibit in the Great Pavilion. On press day I bumped into Rupert Golby the garden designer and Simon Bagnall, Head Gardener at Worcester College, Oxford – they were both positively skipping with excitement because they were so proud of helping John to stage the display and dragged me over to see it. Now you wouldn’t think this kind of behaviour was unusual on press day, were it not for the fact that both Rupert and Simon are both normally quiet and fairly reserved people, both high horticultural achievers who really don’t need to shout about their achievements. They obviously knew they had done something special. Oh they were so lovely! The flowers, not Rupert and Simon, I mean. Although they are very nice chaps, she said hastily. 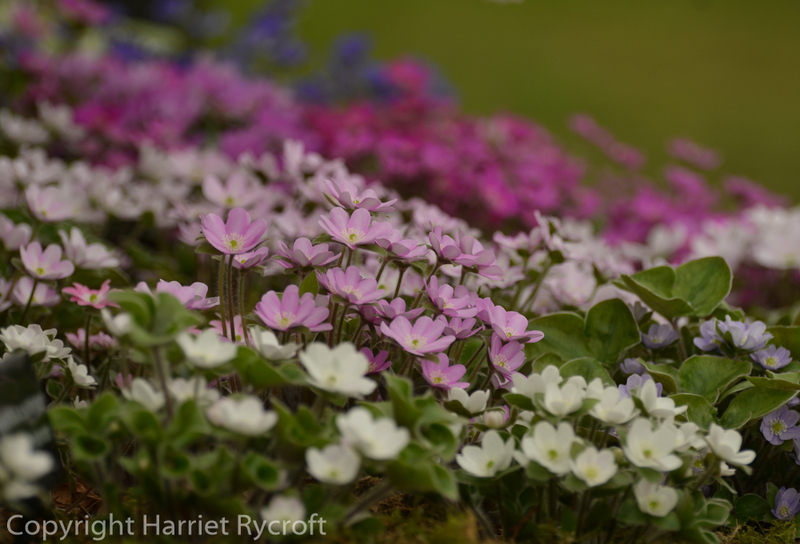 Anyway I think Ashwood Nurseries is likely to have sold out for the foreseeable future, which is just as well because this has made me desire hepaticas terribly even though I would surely lose them in my rather dry and overcrowded garden. Though I could try them in a container… No! No! I must resist! Today I comforted myself with Hepatica‘s lowly cousin Buttercup. Yes, both flowers are from the family Ranunculaceae, a name derived from the Latin for little frog – I’d be grateful if anyone can tell me why. 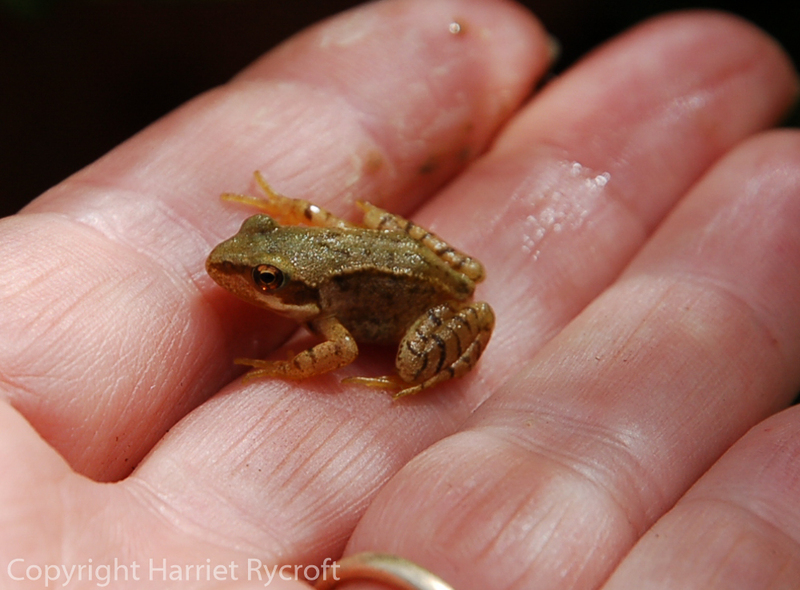 A little common frog (Rana temporaria). I get those in my garden too, which is strange because we haven’t had tadpoles in the pond for ages. 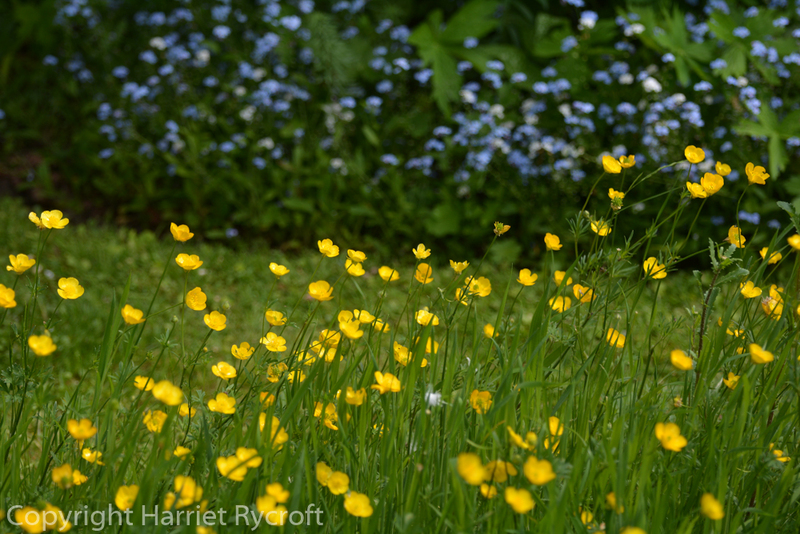 I’m very pleased with my buttercups, they look lovely at this time of year. 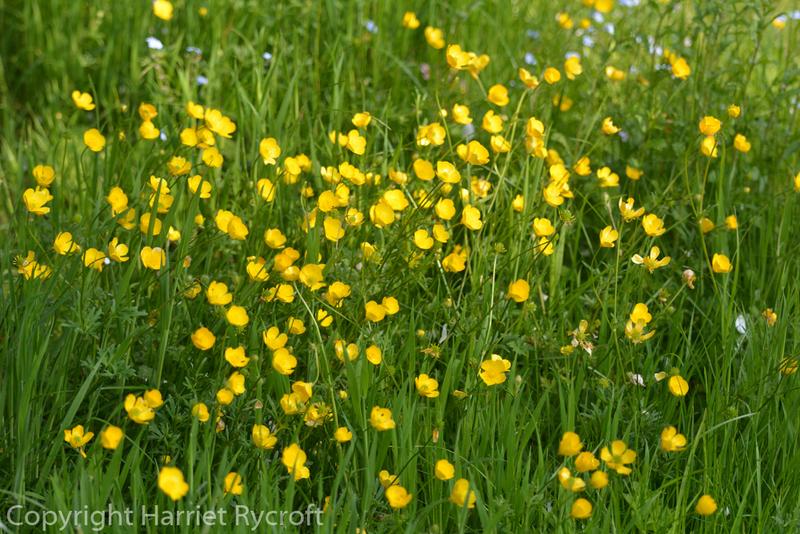 Ranunculus repens, or creeping little frog if you want to translate, is seen by many as a weed but I have a soft spot for it and it lights up the large swathes of long grass in our “lawn”. It’s a lot easier to grow than Hepatica, so it’ll have to do for now. 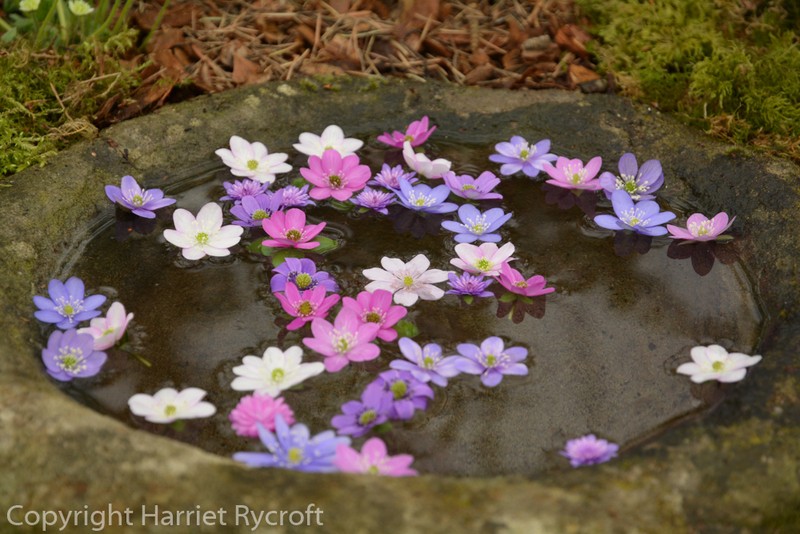 Maybe one day I’ll have hepaticas too. 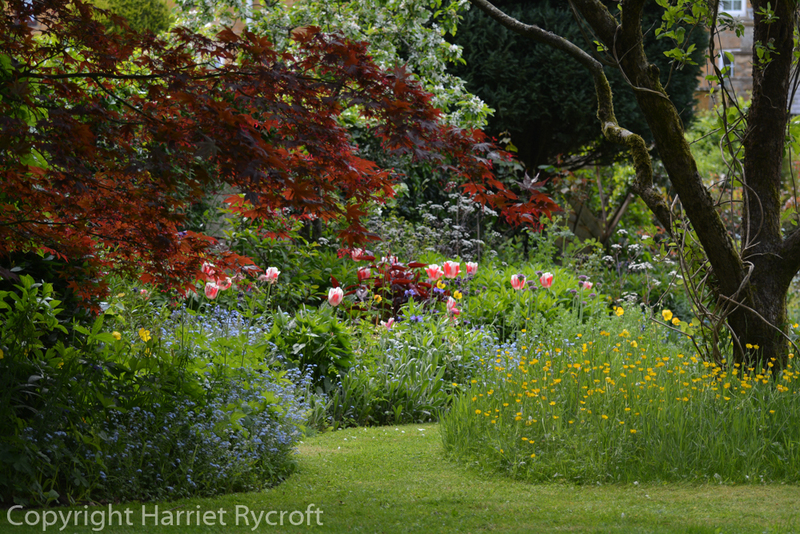 Ranunculus repens sparkling in our garden. Do you like butter?